The Staffroom OnTime module allows your school to easily create calendars and timetables for important school events. 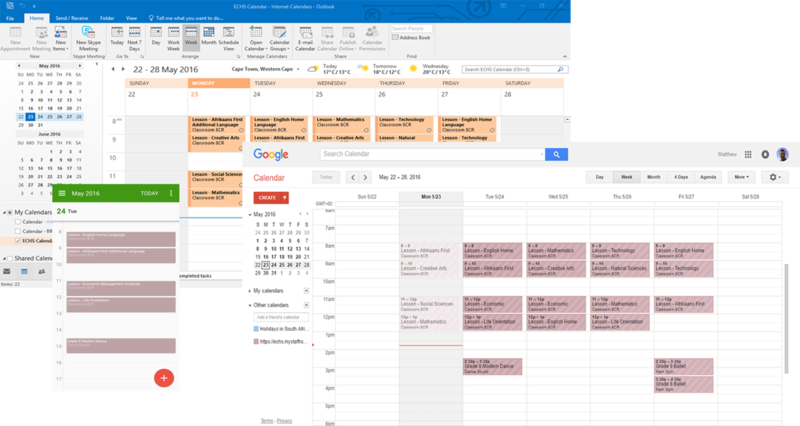 Calendars and timetables created in OnTime are saved in Staffroom and can then be shared with school staff, parents and students in a variety of ways. Each staff member, parent or student gets their own custom calendar which only includes information about the events that apply to them! Staffroom calendars and timetables work with all of your existing classes, assessment groups and other groups. When you create a calendar or timetable for a group the events are automatically included in the group members own calendars and timetables.